The best luxury hotels in Penang have one thing in common: when it comes to pleasing guests they go above and beyond the call of duty. Each offers a truly unique stay experience, in terms of interior design, onsite facilities, in-room amenities, and even food offerings. 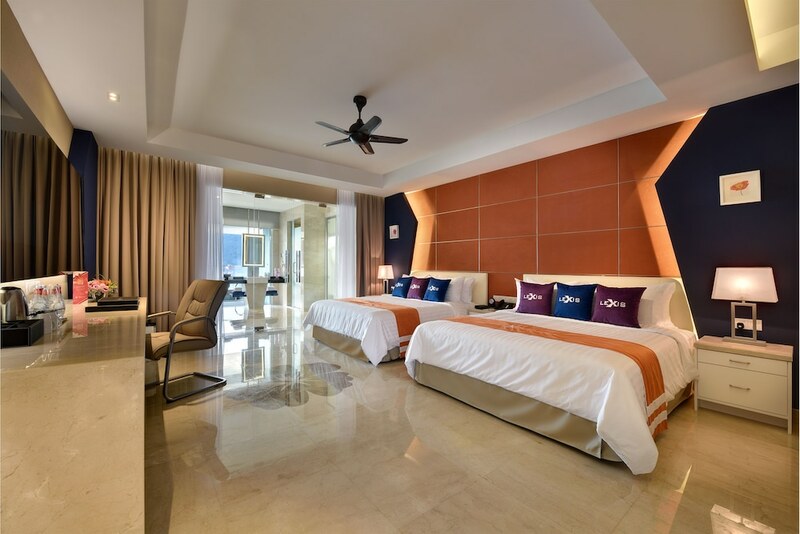 Plus, what makes them even more appealing is the fact that each hotel is set so close to the beach, making it easy to spend some time sun-tanning on the beach or even indulging in water sports. The most popular 5-star hotels in Penang perfectly cater to guests with a taste for the finer things in life, featuring exquisite guestrooms and suites with breathtaking views, unique and charming interiors and verdant surroundings, round-the-clock butler service, as well as easy access to Penang’s must-visit locales such as Batu Feringghi Beach, Gurney Drive, and the UNESCO World Heritage Site of Georgetown. Read on to discover our handpicked selection of the best Penang luxury hotels.